The Music Lab sessions will open with a video introduction from RZA. 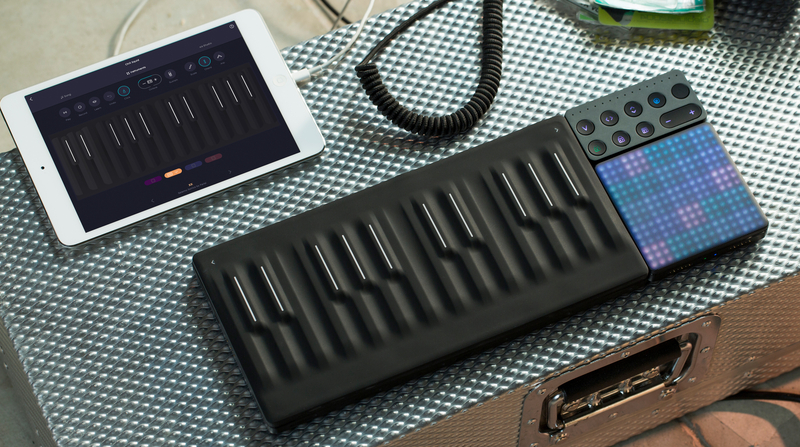 Learn from RZA and get hands on with ROLI BLOCKS and GarageBand on iPad Pro. The sessions will be led by Apple’s Creatives but will start with a video introduction from RZA. Then participants will hands-on with “Wu-Tang: the Saga Continues,” the exclusive collection of Wu-Tang sounds in the NOISE app. The Developing Your Sound with RZA is a Music Lab session that is part of the Today at Apple program. It's available at Apple Stores worldwide. Music Labs help people build their musical skills by focusing on new techniques. Sign up for a Music Lab through the Today at Apple page of your local Apple Store. They've already started, and they’re free and open to everyone. Explore RZA's techniques in the best possible way — first-hand — when you develop your own sound in a Music Lab at an Apple Store near you.